The natural beauty of the Midwest is as striking today as it was over 100 years ago when Northern Engraving was founded. We treasure this natural environment and promote conservation, recycling and efficient use of energy throughout our facilities to minimize the impact on the environment and to reduce operating costs. In 2002, the Wisconsin Department of Natural Resources (WDNR) and Northern Engraving Corporation (NEC) signed an Environmental Cooperative Agreement to evaluate innovative environmental regulatory methods including whole-facility regulation. The Sparta, Holmen and West Salem facilities are included in the agreement. A five year extension to the agreement was signed between WDNR and NEC in 2007. In 2012 it was agreed to continue under the Cooperative Agreement until entry into Green Tier is finalized. Northern Engraving manufacturing facilities located at Sparta, Holmen and West Salem in Wisconsin along with the Spring Grove, Minnesota facility are registered to the international environmental standard, ISO 14001. Our management system is based on areas of focus including environmental, quality and safety. This includes processes to identify and adhere to customer specific environmental requirements such as IMDS reporting and RoHS compliance. Corporate registration is maintained through successful annual audits from the third-party registrar SAI Global. The environmental management system gives the plants the tools needed to analyze environmental impacts, set objectives and targets, develop supporting programs, review results and redirect efforts. By using these tools and developing employee involvement, each facility has experienced ongoing success. Northern Engraving is committed to continual environmental improvement. 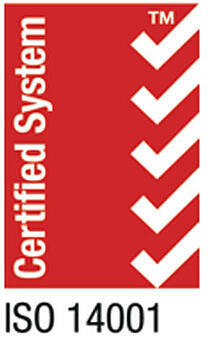 Central to this commitment maintaining a robust environmental management system following the ISO 14001 standard. This system gives our manufacturing sites the tools needed to analyze environmental impacts, set objectives and targets, develop supporting programs, review results and redirect efforts. Employee involvement at all levels is a key component in the ongoing success experienced by each facility. Sparta, WI - Improvements in sheet decoration including covering the conveyor between printing and drying oven to reduce contamination. Revised cure times to reduce rejects. Reduced handling and finger print defects by wearing gloves for material handling. Instituted additional departmental cleaning. Modified equipment including new containers for lubricants, preventive maintenance on wiping dies and buffing process review. Holmen, WI - Yield improvement efforts included implementing additional cleaning of equipment and work areas and replacing oven rack to reduce contamination rejects; adding covers to racks to reduce scratches. Air pressure gauge was relocated on the press for easier operator monitoring. Switched printing method to address ink cracking in blanking process. Precleaned sheets before printing process. A second person inspects sheets while running certain print jobs. Suspect rejects are reviewed for possible non-rejects. The direct to screen equipment utilizes computer imaging to produce screens for the screen printing process. Reduced processing time by over 50% for screen imaging. Energy consumption reduced by 80%. The unit has a recycling water mode. West Salem, WI - Reduced rejects from slugs, scratches and contamination. Efforts include more frequent die wiping and sharpening, preventive maintenance schedule changes and adjustments in equipment handling or replacements. Spring Grove, MN - Yield improvement efforts included cleaning screening ovens, replacing coating oven belt, revising artwork to improve registration. Certain operators were assigned specific jobs on DPK lines. A new screening machine helped with screening accuracy. Sparta, WI - Optimizing activities included revising washer operation work instructions, implementing use of startup/shutdown checklist, recording water meter readings. A flow meter was added to a rinse tank. Steam coils were repaired. A washer tank lid was modified to be clear of water level float. Lighting was replaced in screenmaking with non UV emitting lighting. Lighting ballasts were evaluated and determined efficient. Lighting on some process inspection tables were replaced with LEDs. Two sodium vapor lights were replaced with LED rapid start strip lights. West Salem, WI - Continued facility lighting improvements by replacing parking lot fixtures and metal halide lighting with high efficient fluorescent lighting and LEDs. Reduced VOC emissions over two tons with alternative lubricants in punch press. Reduced compressed air leaks by repairing equipment and monitoring with ultrasonic detector. Facility and corporate personnel met with a potential recycler. One recycling company for all scrap approach was taken. No agreement with a recycler was made to recycle lower glass-filled resin. Sparta, WI - Replaced mercury containing thermocouples on three washers. Holmen, WI - Reduce facility water usage by optimizing water use for washers and hydraulic presses. West Salem, WI - Reduce facility water use in sheet prep area. Spring Grove, MN - Implement recycling program for composite parts.